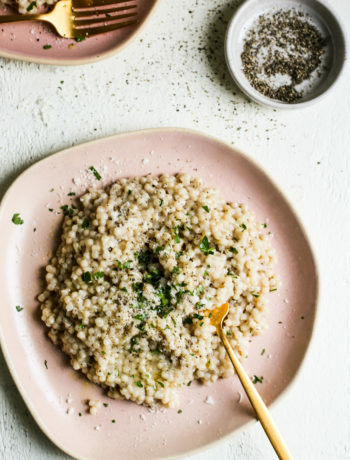 Want to seriously impress your dinner guests with a fresh, super fancy yet easy to make dish? 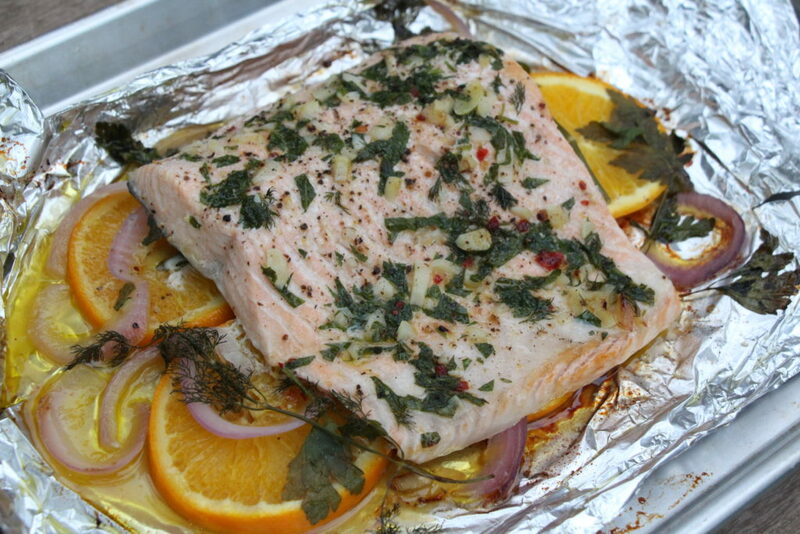 How about you try this foolproof foil wrapped citrus and herb salmon– it is even more delicious than it looks! 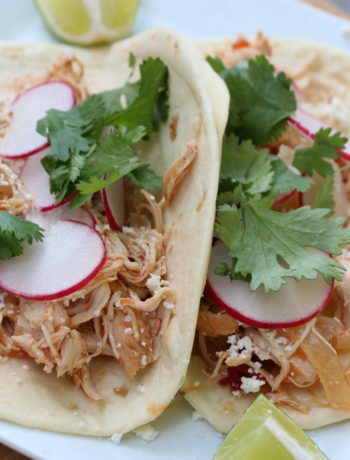 Place a large sheet of foil (about 15-18 inch sheet) over a cooking sheet. 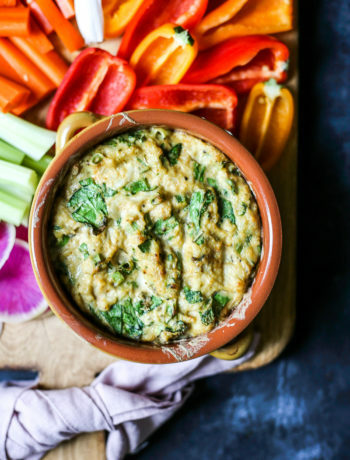 Slice orange into rounds, you should get 5-6 rounds. 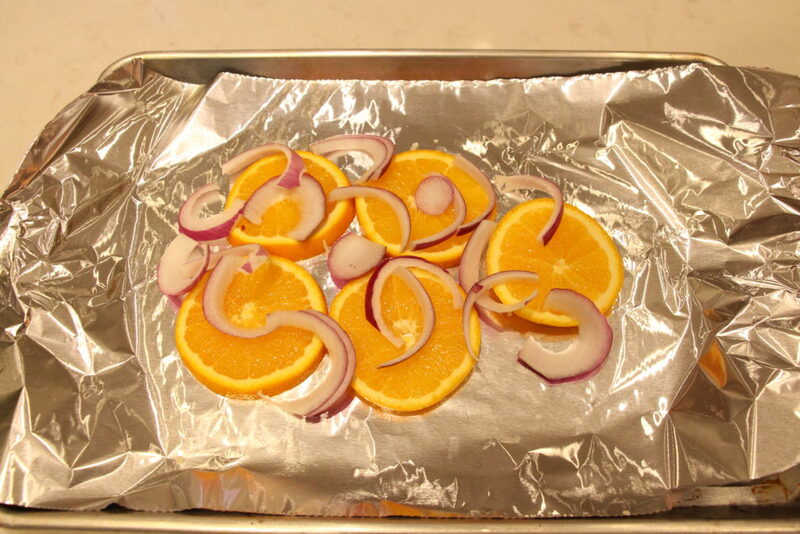 Place the sliced orange and sliced red onion on top of the foil. 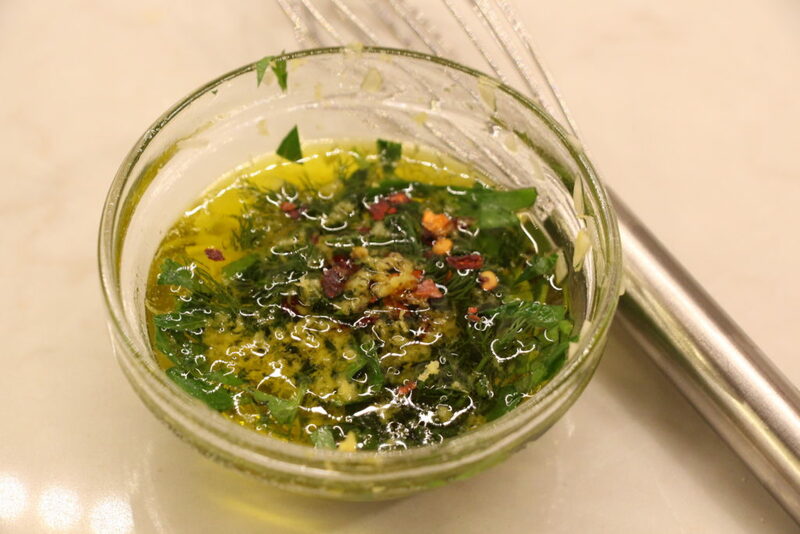 In a small bowl, whisk together the olive oil, minced garlic, crushed red pepper, lemon zest, parsley, and dill. 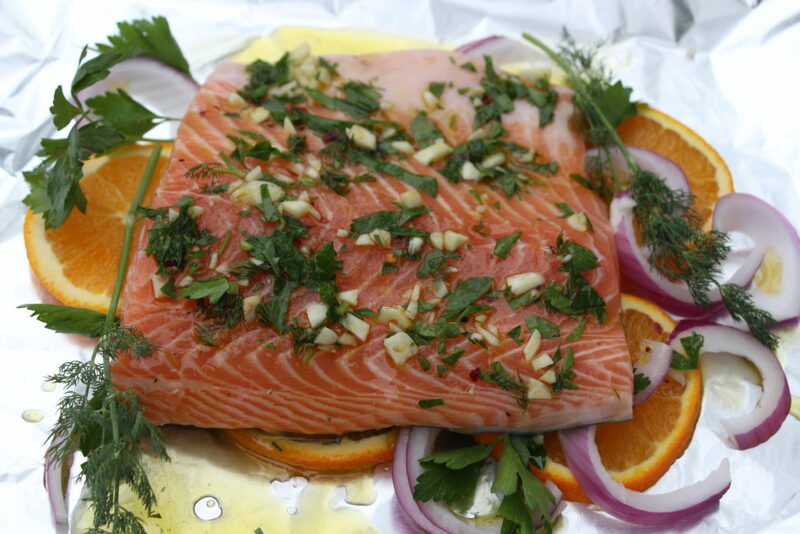 Place the Salmon over the orange and red onion slices. 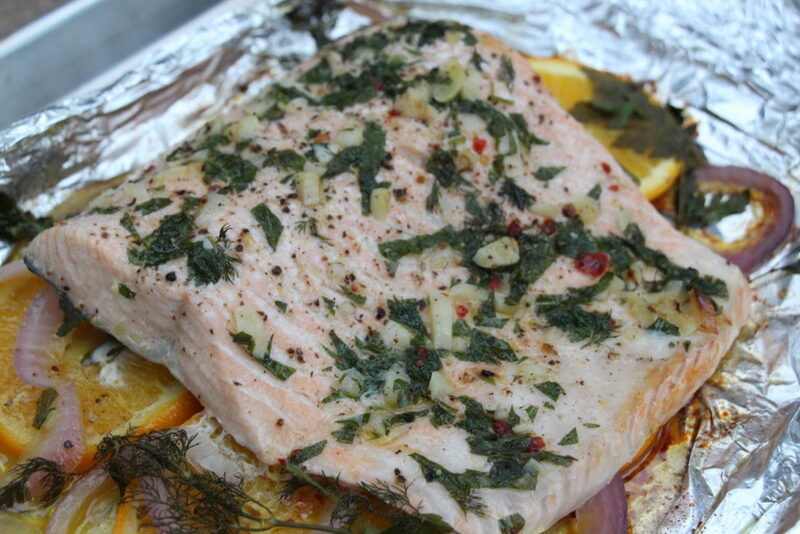 Now, using a kitchen brush, brush on the herbed olive oil concoction all over the salmon. 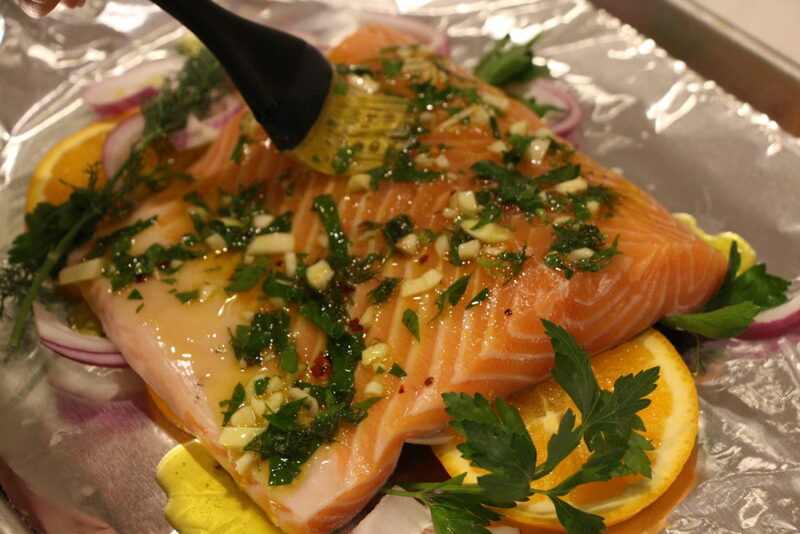 Next, season the salmon with salt and pepper, to taste. 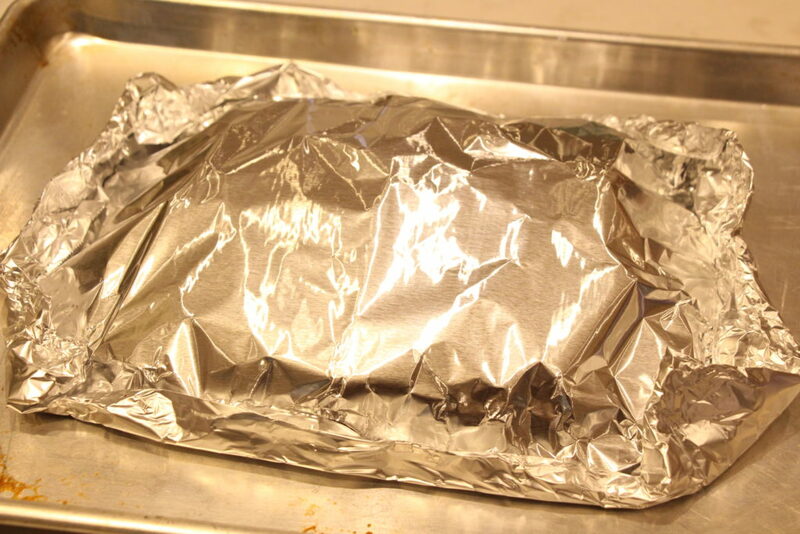 Top with the other piece of foil and roll up all of the sides.